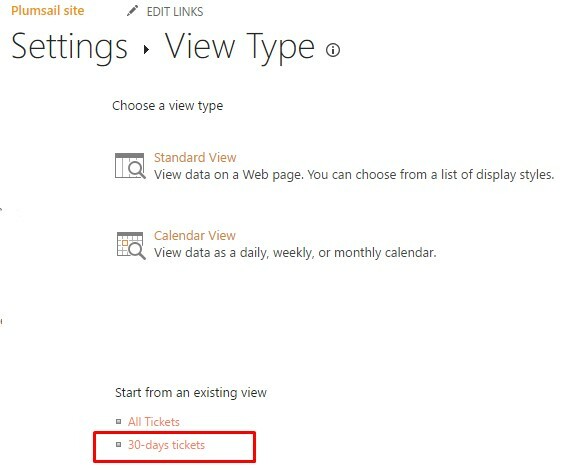 Views give an opportunity to organize work with SharePoint list and sort data in your service desk in an easy-to-find way. For instance, let's create a view based on existing custom one. On the home page, you can find auto-generated views for the most common cases and all new views will appear under ‘more options’ button. First, navigate to Create View. Here you can choose view type but you already have an existing view. We will use it to create a new one. Thus, you will need to modify just a few properties for a new view. Now you can change view’s name and, also, you can make view public or private. 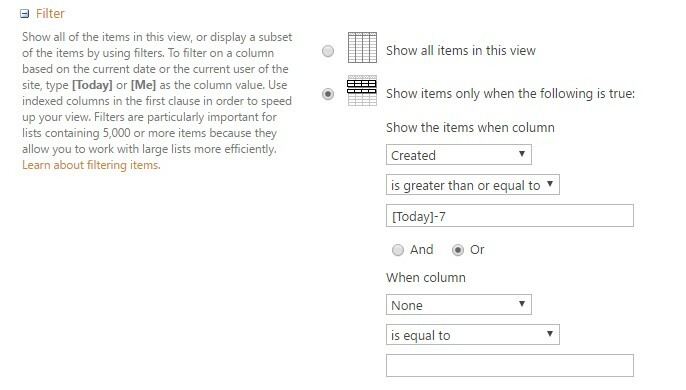 In columns section, you select columns that need to be displayed. 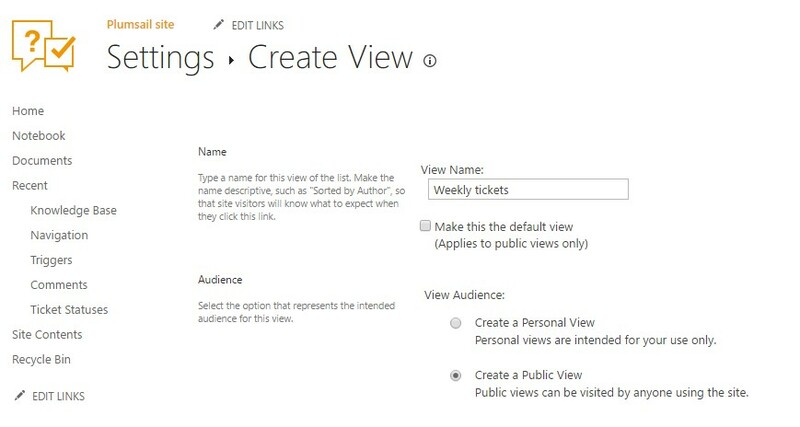 Combine this section with other filters to make your work with views more productive. Applying filters is very helpful if you’d like to get a subset of the items. For example, you need to see all tickets that are less than 7 days. Just type [Today]-7 and choose operator ‘is greater than or equal to'. Now you have a new public view which shows tickets created less than a week ago. You can modify this view by clicking the button in the ribbon.